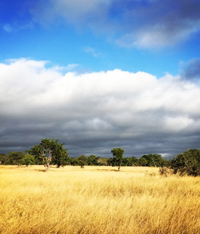 Nhacainga is a wildlife area that has been developed over the last 15 years within the Coutada 9 area in the Manica Province of Mozambique. 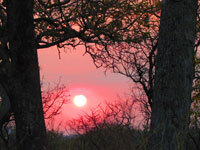 The main camps in this area are the Tandikwe Camp and the Njiri Eco Camp. Fly Camps are erected for clients who wish to have a more rustic experience or those who need to hunt the blocks far from the main lodges. Prior to the civil war, the Coutada was operated by Safrique and was renowned for its Lion and Buffalo. 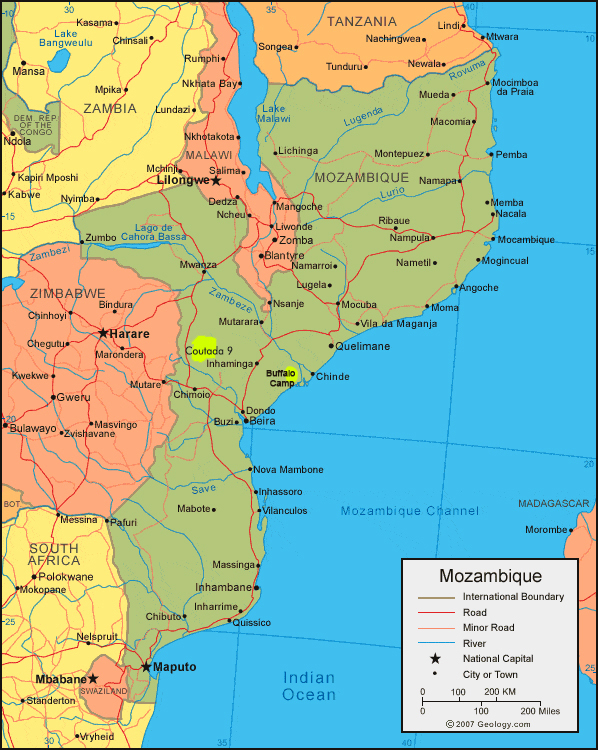 The area falls approximately half way between Chimoio and Tete. 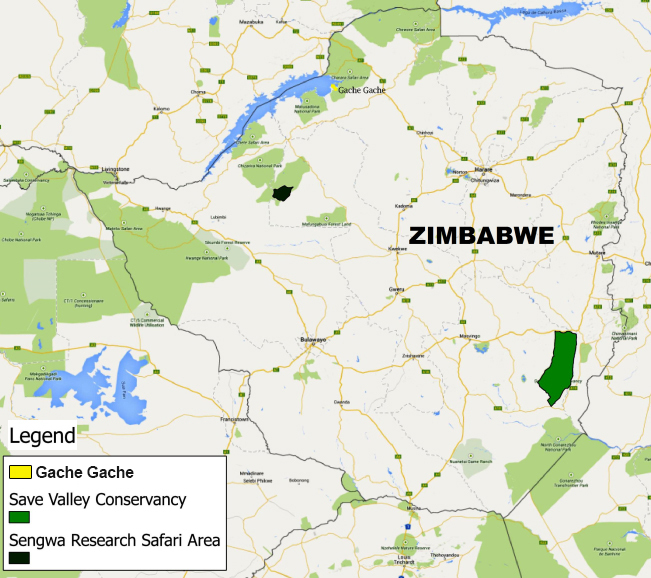 The hunting in Nhacainga is very exciting and offers a wide variety of species and habitats. 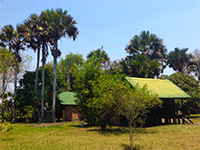 The habitats in the area consist of savanna woodland, tambooti forests, seasonal rivers with thick riverine vegetation and spectacular granite outcrops. Good populations of Elephant, Lion, Buffalo and common plainsgame occur. Leopard also occur in the area, but in more limited numbers. 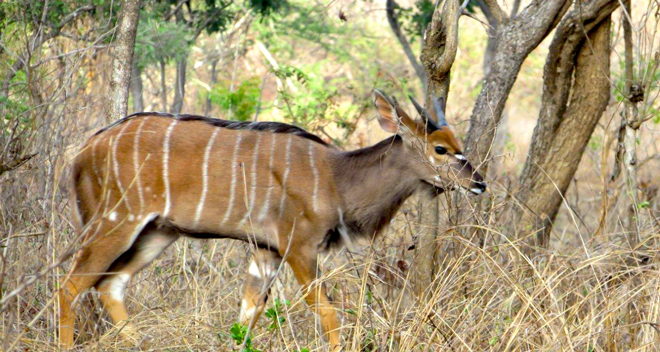 There is a quota of Lichtenstein's Hartebeest, Red Duiker, Oribi, Reedbuck and Linvingston’s Suni which make nice additions for clients returning whom have hunted the plainsgame species available in Zimbabwe already. 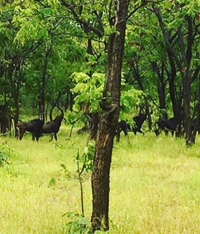 Sable and Nyala are plentiful and make a great safari for clients who wish to target these species. This beautiful area is made up of palm savanna, open grassland and perennial rivers on the edge of the famous Marromeu Buffalo Reserve. It has excellent numbers of buffalo. 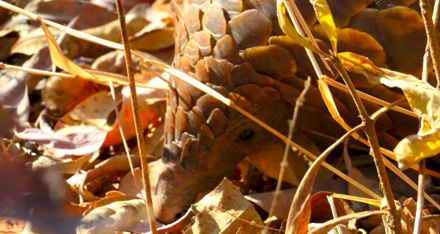 Together with the plainsgame available in Nhacainga Conservancy a combination hunt between these two areas is an excellent and diverse safari option.